Who knew rag dolls could fly? Mom’s most perfect of pitches (that had me in stitches) is picture proof that she launched Madeline, the very first rag doll ever, into space! 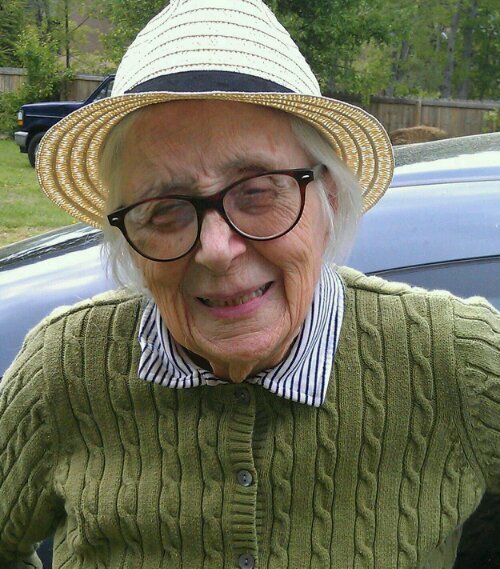 Posted in humor, life, love and tagged aging parent, caregiver, caregiving, dementia, Helen Laughon, launch, My 91 Year Old Mom, Parent, perfect pitch, rag doll, ragdoll. Bookmark the permalink. 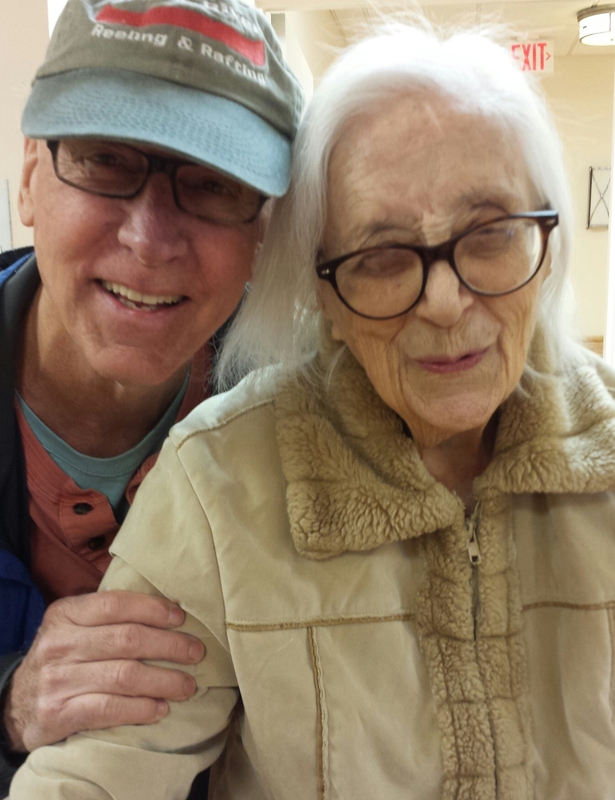 Driving mom to Circle Center Adult Day Care is the best way I know to kick-start a day. Talk about a great attitude, no matter if it’s scorching hot, rain, sleet or snow, mom never complains or never says she doesn’t want to go … she just goes. She is my poster child for a great attitude … and she is funny. When we ride down the road together there is no way to predict what’s going to happen, other than something will happen. I call her my Happy Day Maker. On this particular day, it was anything but happy outside. It was ice cold and damp, so I warmed up the car, and somehow that warmed up mom’s motor-mouth as well. She was pointing out “naked trees”, telling traffic lights to quit changing all the time, asking … Where are all the cars going? Where was I born? Where did I buy our car? Who is my mom? … all this while clapping her hands and singing her old University of Richmond alma mater. 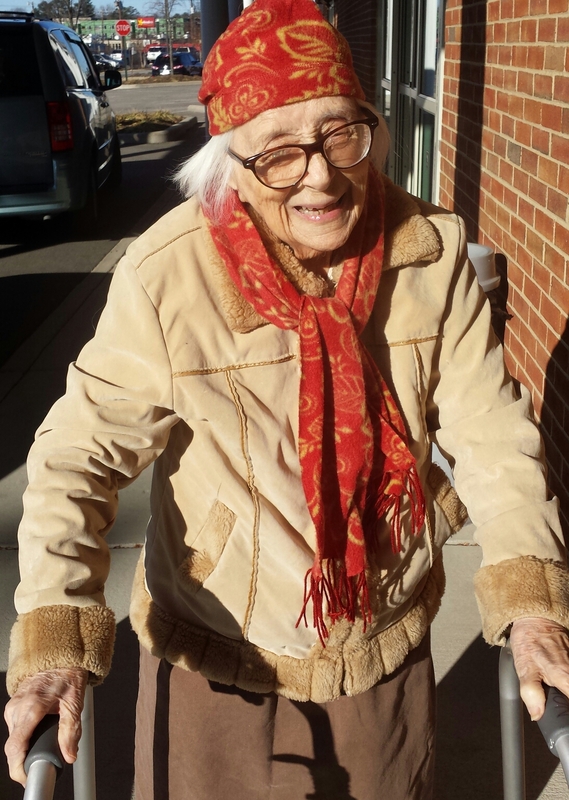 She was one happy 94 year old out for a wild ride. She had no idea where she was going, but was having a great time going there. When mom is on a roll like this (which is pretty much every day), I’ll ask her a question or two just to stir the pot even more. Not only has she, she taught it English, her zebra graduated with her from University of Richmond (insert mom singing her school’s alma mater at the top of her lungs here). So, today’s question was just another crazy Tom question. Mom was dead silent for four solid blocks. And, that gave me plenty of time to think about how absurd, yet brilliant, my question was. I mean, this was the very first time one of my crazy questions didn’t conjure up an instant reply. It was the very first time I had left my mom speechless. So, here we were, riding in our car, with nothing but the sound of tires on pavement to keep me company. I laughed so hard tears were running down my face. And, just like that, mom resumed her normal, non-stop, happy day making chatter. I’ll never know if mom knew just how perfect her comedic timing was or if she just knew that there was no way she wanted to be mistaken for a cannibal. One thing is for sure … I have no idea why I asked mom about cannibals but I will remember and recount this morning drive with mom for a long, long time … especially when I — EAT — CHICKEN. Posted in family, humor, life, love, Uncategorized and tagged aging parent, caregiver, caregiving, dementia, elderly parent, My 91 Year Old Mom. Bookmark the permalink. When a preacher’s wife, who has been on this planet in all kinds of weather for 94 years says, “It’s cold as hell,” it must be as cold as hell. All of the weather forecasters in Richmond were unanimously proclaiming we had a record low wind chill of minus 10. Not only that, but they were teaching us a new buzz phrase for the day … the polar vortex (play scary music behind this phrase and you get the drift). Getting past all the highfalutin weather speak and scary background music, I figured out it meant weather of biblical proportions was blowing frigid air from either the North or South Poles or both our way and it was going to freeze the holy crap out of all of us. I even heard the forecasters throw in the word cyclone for good measure. Does Apocalypse Now come to mind? I don’t know … my mind was too frozen to think. All I could see while on the verge of hypothermia was a sign from God and it didn’t look promising. What kept me going was the fact that I had to go to work and that I had to take mom to Circle Center Adult Daycare Heaven. When I told mom we had to go, she acted like a champ. She asked if the car was warm and I said, check. She asked me not to take too long to walk her to the car because she didn’t want to turn into a Popsicle. I thought that was more than reasonable, so I said, check. Then mom asked me if we could get a Slurp (mom’s word for Slurpee) on the way to Circle Center. That was the last straw. 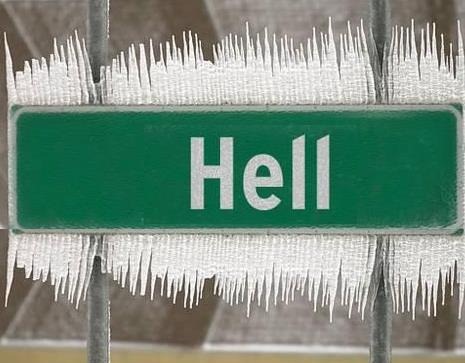 I said, no way … not while hell is freezing over, mom … not on the day hell is freezing over! With that, we marched double time, arm in arm, to the car … thankful we weren’t turning into ice on a stick. I just noticed the picture I took of mom and I forgot to put her gloves on. Whoops! Now NSA surveillance has me on their radar. Posted in family, humor, life, love and tagged aging parent, caregiver, caregiving, Circle Center, dementia, elderly parent, hell freezes over, My 91 Year Old Mom. Bookmark the permalink. Her favorite song is Jesus Loves Me. When you ask her to sing a song, nine times out of ten, she belts out Jesus Loves Me … and she usually sings it spot on. But, today, all I can say is she sang it in a totally unpredictable way. I wish I could, but I could not make this up. Two songs, two tunes, both from the mid-eighteen hundreds, merged together in a very unorthodox way, but merge they did. I don’t know whether it was divine intervention or what, but I do believe mom’s creation, if accepted, would change the New Testament, and life as we know it, forever. And, the pilgrimages to Alabama and Louisiana alone would have tourism skyrocketing through the roof … not to mention banjo sales. 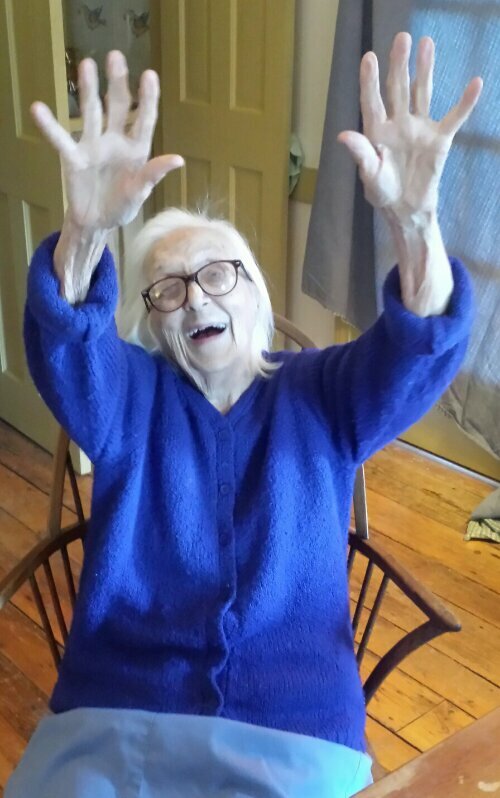 Please note, I am not suggesting my ninety-three year old mom has started a holy movement. A holy moly moment is probably more like it. Posted in humor, life, love and tagged Banjo, bible, caregiving, Christianity, dementia, elderly parent, family, Jesus, New Testament. Bookmark the permalink. Me: Mom, when I was baby, was I big or little? Mom: You were just the right size. You know dirty words, but you don’t say them very much. Mom: I want to thank you for your strongness [sic]. I love you everywhere I turn. Mom, I want to thank you for your strongness. Posted in family, humor, life, love and tagged aging parent, caregiver, caregiving, dementia, elderly parent, Mother, My 91 Year Old Mom, perfection. Bookmark the permalink. 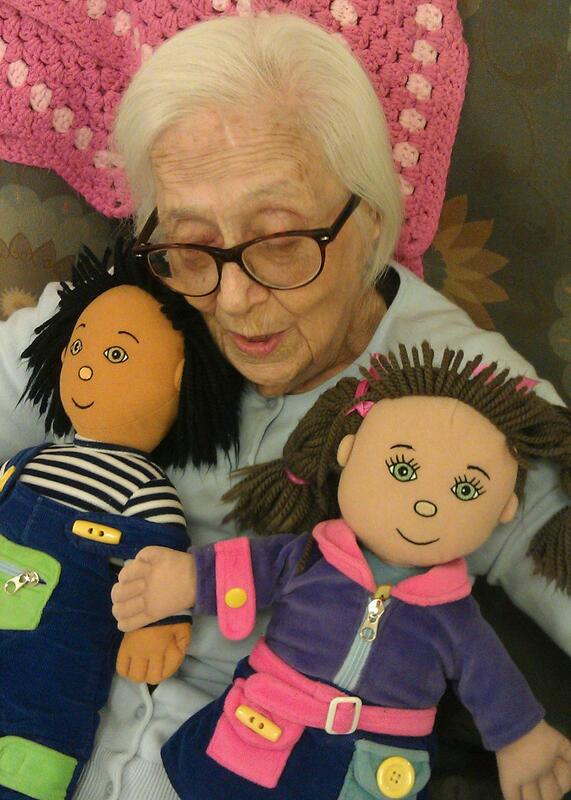 I was told early on that dolls are often the best thing you can make available to a woman with dementia. The maternal instinct seems to be eternal. Many women, and sometimes even men, find great comfort in holding and caring for their dolls? Two dolls at Circle Center Adult Day Care have my mom’s name on them. They are hers and hers alone. Everyone at the Center knows and respects that. I call them Mom’s Kids. Mom’s Kids are wide awake and waiting in her big soft chair for her every morning. And, they are in her arms every evening when I come to take Mom home. We have the same conversation every evening. Mom wants to take her kids home, and I suggest they spend the night there. She wants to know if they will have supper and a bed. After several assurances, she gives the OK and we are off. I secretly call Mom’s Kids Nel and Tom named for my sister and me. The four of us are made from the same cloth and all of us have spent plenty of quality time in those arms of hers on the receiving end of her hugs and kisses. There is nothing like them. And, speaking for the four of us, there is no one like our Mom. Those permanent smiles on all of Mom’s Kids’ faces, mine included, are a testament to that. One thing’s for sure, Mom still has her mother’s instinct. I guess a mother’s love is almost impossible to take away. Today, Mom and I had the following conversation on the drive home from Circle Center. Me: You are my Mamma, Mamma! Did you know that? My very own little Mamma, Mamma! Mom: I have known that for a long time. Me: Do you know how much I love you, Mom? One million tons! That is one heaping heavy load of love! Mom: Well, I love you! I have always loved you. I have loved you forever … still do. You always do the right thing instead of nothing. You don’t spit and you don’t hit. Me: (Thinking to myself, damn!) Mom, when I was baby, was I big or little? Mom: You were just the right size. You were perfect perfection. You did everything right, every time. Still do. Me: Love you, Mamma Mamma. Mom: I love you! I have always loved you. Posted in humor, life, love and tagged aging parent, caregiver, caregiving, dementia, elderly parent, family, My 91 Year Old Mom. Bookmark the permalink. Mom’s maiden name was Helen Douglas Martin. Her married name is Helen Laughon. For the last few years she has reverted back to her maiden name. She is no longer my dad’s wife. She is Dr. Martin’s youngest daughter. Mom has soundbite, epitaph-like descriptions about all of the key people in her life. Notice all three of these descriptions are present tense. I consistently tell mom she is Helen Douglas Martin Laughon, mainly so I can feel the connection of our last name, while letting her maintain her core Martin identity, the identity her mind assures her she most certainly is … no doubt about it. She is one of the four Martin siblings of which she is the youngest at six years old. The other three are all referred to in present tense, “Fanny Martin, Berkeley Martin, and Hunter Martin,” although mom has been the last one standing for quite some time now. When I say, “Mom, you are Helen Douglas Martin Laughon,” she will agree with me. But, she will never add Laughon without me saying it first. When I say it, she answers without any hesitation, “That is my name and it is a first page name.” I am not sure what that means exactly, but it does make it sound important. And … with that I have to agree one hundred percent! She is so right on. Now, that was a mouthful for a six year old … and it took my breath away. For, indeed, my mom is (present tense), always was (past tense) and always will be (future tense) Love. Helen Douglas Martin Laughon Love. The name that grows on you. Posted in family, humor, life, love and tagged aging parent, caregiver, caregiving, dementia, elderly parent, Mothers, My 91 Year Old Mom. Bookmark the permalink.